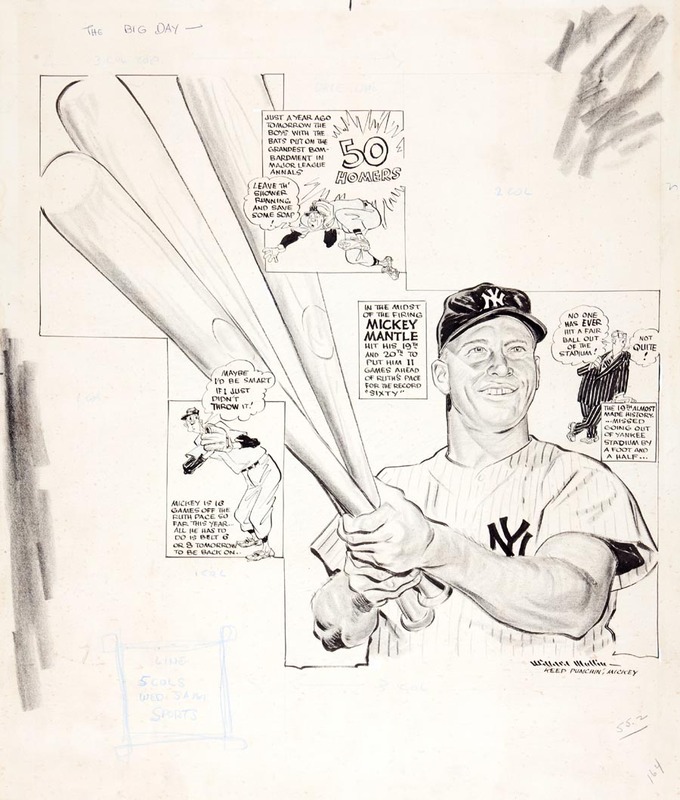 A sports cartoonist pokes fun at sports figures with the blended skills of a caricaturist and the mind-set of a columnist. The sports cartoon is a succinct form of journalism and a different way of covering sports. 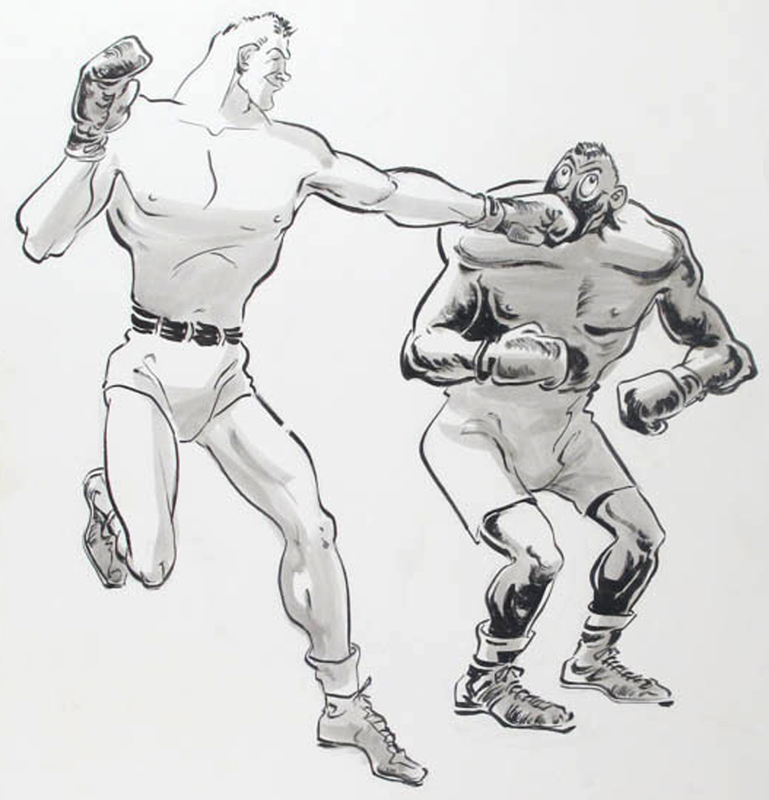 The 1930s to the 1960s is considered the golden era of the sports cartoon. 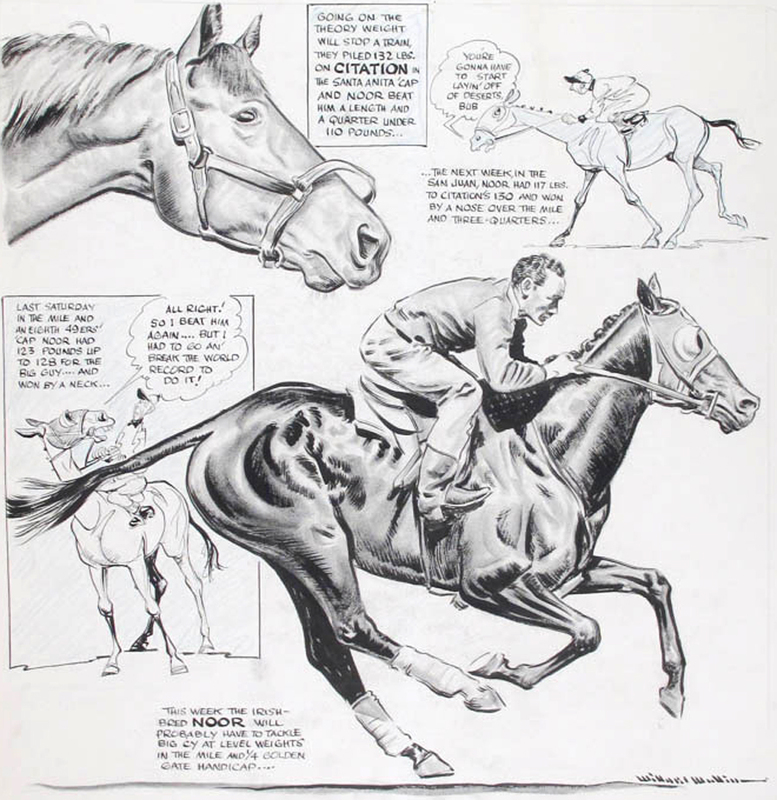 During this time, staff cartoonists would draw five or six cartoons a week that were featured prominently on the sports page. They would characterize players, owners and managers with the stroke of a pen. The resulting visual had the ability to illustrate an event on the page in a way that a reporter’s words or photograph could not. 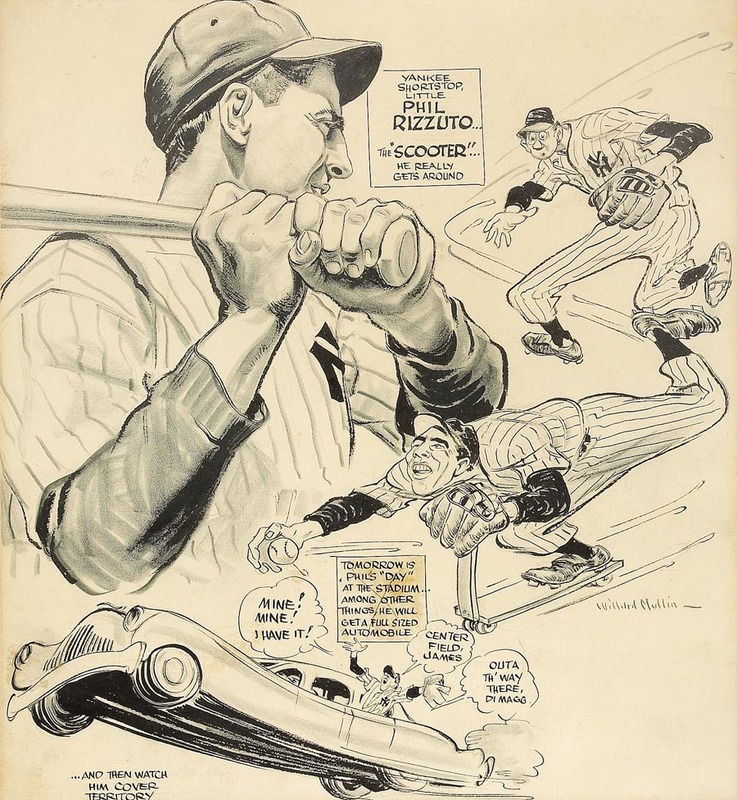 One of the most famous sports cartoonists is Willard Mullin of The New York World-Telegram who created the unshaven “Brooklyn Bum” in the 1930s. This character still connected with fans even after the Brooklyn Dodgers moved to Los Angeles, California. 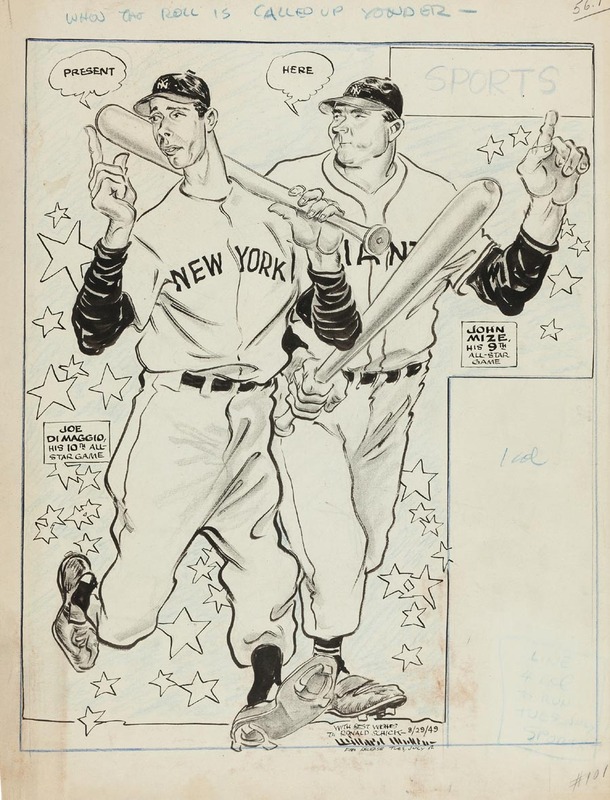 Many years before the current contraction in the newspaper industry, editors began to view sports cartoonists as relics of a bygone era and a budget item luxury. 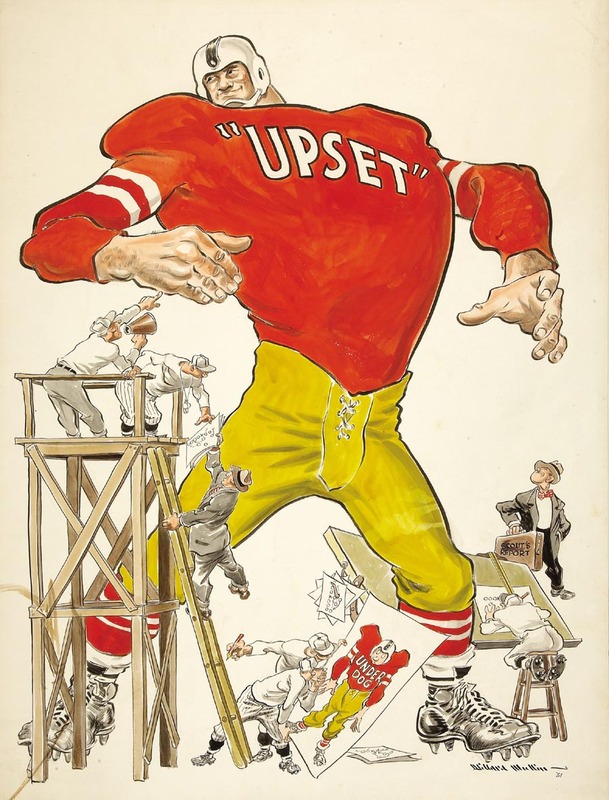 Among the nation’s few remaining regularly published sports cartoonists, Drew Litton and Rob Tornoe can still be seen in major daily newspapers.